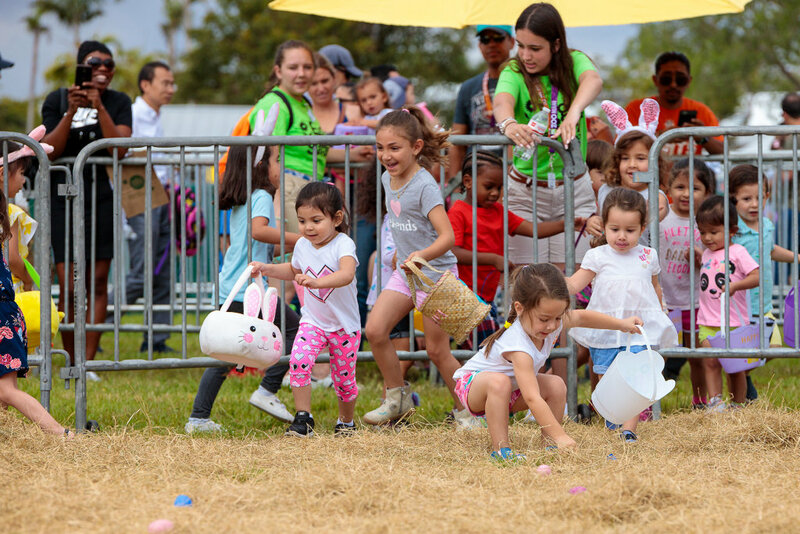 Kids ages 12 and under can enjoy continuous egg hunts, photos with the Easter Bunny, music, games and lots of prizes the kids will love. From 10 AM to 4 PM, you can watch Zoo animals like the spider monkey, tiger and meerkats receive their special holiday treats, as well. Then spend the rest of your time enjoying the rest of the animals and exhibits at Zoo Miami. Performances by Steve Gryb, The Pied Piper of Percussion at 12 p.m., 1 p.m., 2 p.m. and 3 p.m.